Nitric oxide (NO) is a tiny molecule with tremendous impact in biology, biochemistry, physiology, biomedicine and clinical practice. Nitric oxide, as a signaling molecule, significantly contributes in the regulation of transcriptional, translational and post-translational processes, aging, inflammation, and major human pathologies. This book represents a view on the area from physical chemists with long and broad expertise in chemical biophysics, mechanisms of enzyme catalysis and physical methods for application in biology, in particular. 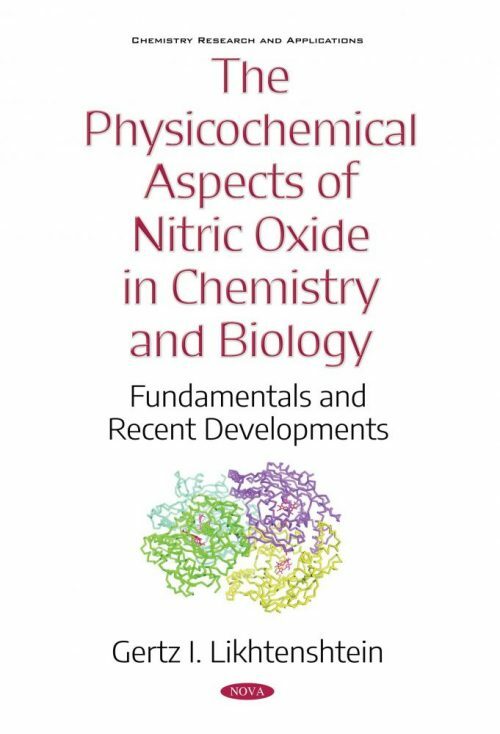 This book forms the physicochemical basis for a deep understanding of the biochemical and physiological impact of nitric oxide. With numerous references to essential literature, this volume provides a tool to fundamental knowledge in all important aspects of the vast area. The book chapters are dedicated to basic physical and chemical properties of nitric oxide, NO donors, NO metallocomplexes, and methods of NO analysis. A general survey is made of data on nitric oxide synthase and soluble guanylate cyclase, an NO receptor, and reactive nitrogen species. Brief reviews of the nitric oxide involving genetics and aging, occurrence of pathology and treatment of cancer, arterial and bone diseases, central nervous systems and neurodegenerative diseases, and other miscellaneous diseases are all presented. This book is intended for scientists working in areas related to the impact of nitric oxide in biochemistry, molecular biology and biophysics, physiology and biomedicine. The book will also be useful for doctors and pharmacologists involved in the clinical practice. This text, as a whole or as separate chapters, can also be employed as subsidiary manuals for instructors, graduate and undergraduate students of university physics, bio-physics, chemistry, biochemistry, and biomedicine departments, and researchers of laboratories for pharmacological companies. This monograph is intended for scientists working in areas related to impact of nitric oxide to biochemistry, molecular biology and biophysics, physiology and biomedicine. The book will be also useful for doctors and pharmacologists involving in the clinical practice. This text, as a whole or as separate chapters, can also be employed as subsidiary manuals for instructors and graduate and undergraduate students of university physics, bio-physics, chemistry, biochemistry, and biomedicine departments, and researcher of laboratories of pharmacological companies.